“This porridge is too hot!” she exclaimed. So, she tasted the porridge from the second bowl. “This porridge is too cold,” she said. So, she tasted the last bowl of porridge. “Ahhh, this porridge is just right,” she said happily and she ate it all up. While this describes the adventures of Goldilocks in the classic fairytale “The Story of Goldilocks and the Three Bears,” it is an ideal analogy for the need for balanced signaling mediated by phosphatidylinositol-3-kinase (PI3K), a key signaling hub in immune cells. Either too little or too much PI3K activity is deleterious, even pathogenic—it needs to be “just right”! This has been elegantly demonstrated by the identification of inborn errors of immunity in key components of the PI3K pathway, and the impact of these mutations on immune regulation. 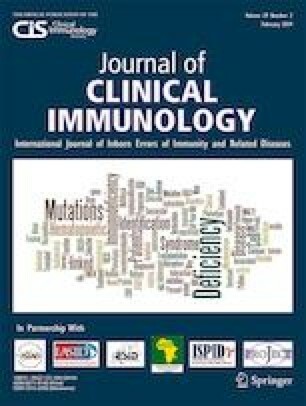 Detailed analyses of patients with germline activating mutations in PIK3CD, as well as the parallel generation of novel murine models of this disease, have shed substantial light on the role of PI3K in lymphocyte development and differentiation, and mechanisms of disease pathogenesis resulting not only from PIK3CD mutations but genetic lesions in other components of the PI3K pathway. Furthermore, by being able to pharmacologically target PI3K, these monogenic conditions have provided opportunities for the implementation of precision medicine as a therapy, as well as to gain further insight into the consequences of modulating the PI3K pathway in clinical settings. Research performed in the Tangye and Deenick labs is supported by the National Health and Medical Research Council of Australia, Cancer Council NSW and NIAID, NIH. SGT was a Principal Research Fellow of the NHMRC; JB is supported by the Postgraduate Research Scholarship awarded by Fundação Estudar (Brazil); AL is supported by a Tuition Fee Scholarship from UNSW Sydney; TN is supported by a Research Training Program Scholarship awarded by the Australian Government; GU is supported by the Division of Intramural Research, National Institute of Allergy and Infectious Diseases, NIH; EKD is a Scientia Research Fellow of UNSW Sydney. Bier J, Rao G, Payne K, Brigden H, French E, Pelham SJ, et al. Activating mutations in PIK3CD disrupt the differentiation and function of human and murine CD4(+) T cells. J Allergy Clin Immunol. 2019. https://doi.org/10.1016/j.jaci.2019.01.033.